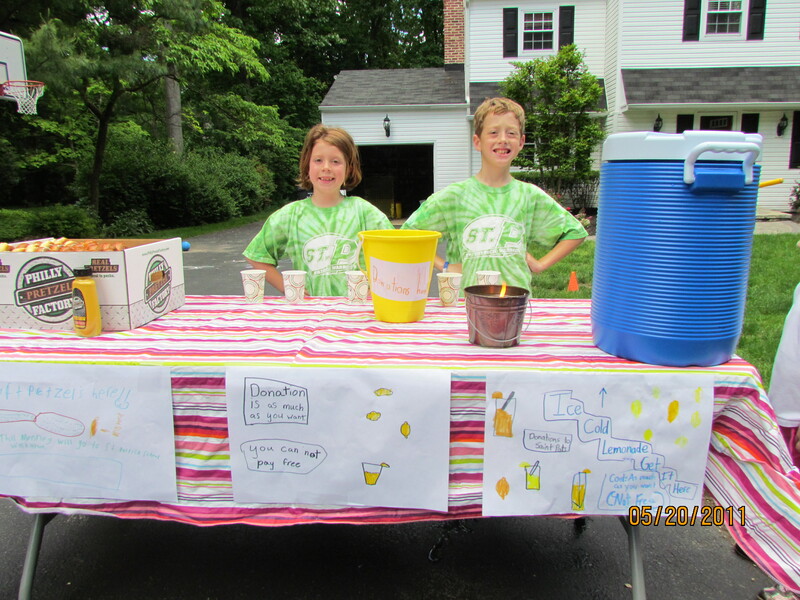 Last weekend Andrew, Kate, Quinn, Shea and some of their friends decided that they would set up a lemonade stand. This was the 2nd lemonade stand they managed in their neighborhood. 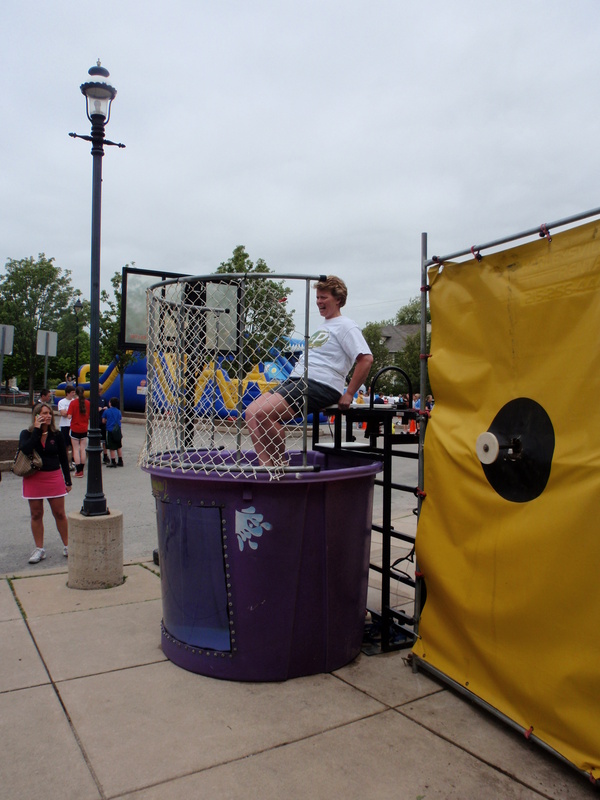 All the proceeds from the sales would go to help support the St. Pat’s Walk-a-Thon that is being held on June 2. The Walk-a-Thon is being organized so that St. Pat’s can begin a Spanish program in our school. Go Warriors – and a big Thank you to Andrew and Kate! I think I’ll Keep My Day Job! 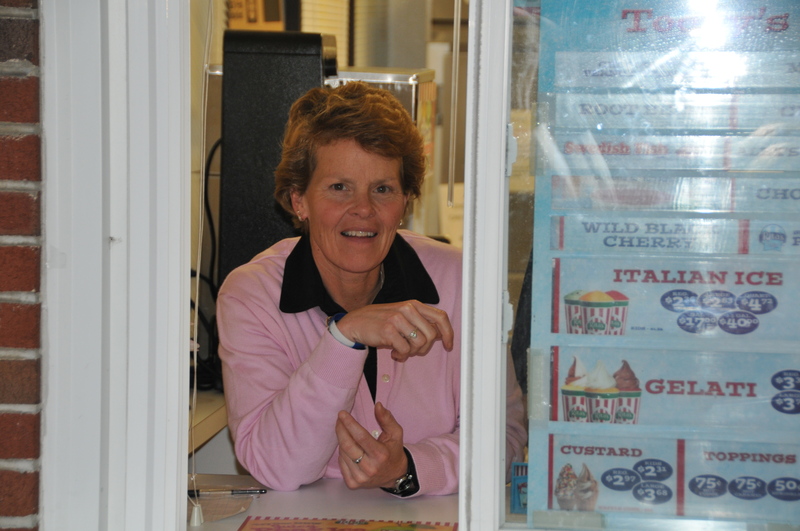 Last week Rita’s Water Ice in Paoli hosted a Celebrity Scoop St. Pat’s night. The featured flavor was Warrior Watermelon and the highlight was having 7 of our teachers join me in scooping. 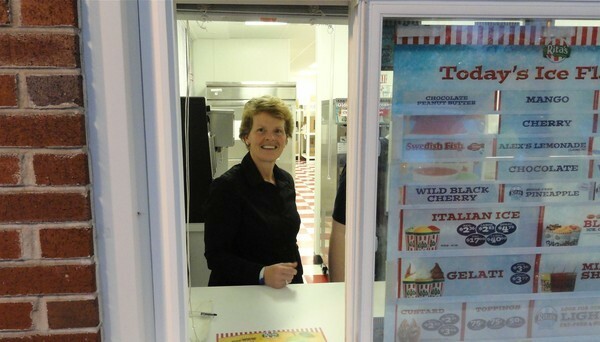 I have to say that it was so much fun to see a ton of our families come up to the window – and it was even more fun making the Gelatis, Blendinis and cones! Mr. Gilson and I worked a shift together and we were having a competition of who could make the most perfect cone – I think I had him beat by a mile! Thanks to all of our families who came and supported this event. 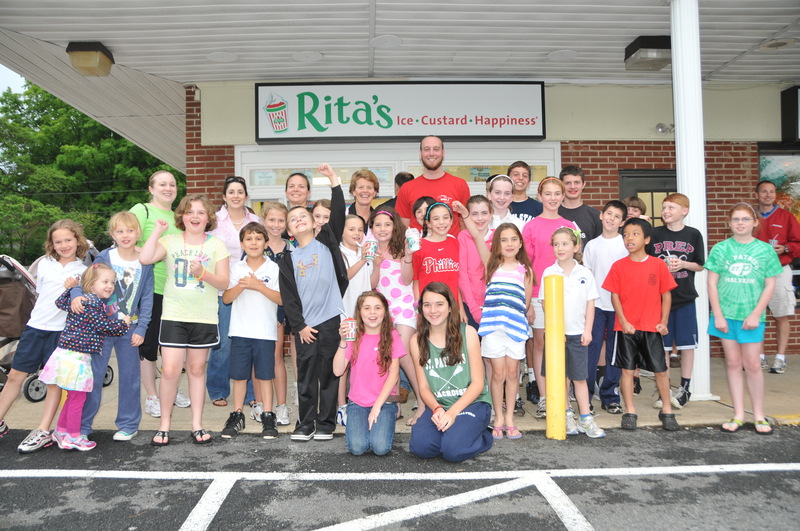 Rita’s is donating 20% of the proceeds to the school. The best part of the night was seeing so many people come together and enjoy each others company – typical of a St. Pat’s affair! Congratulations to the St. Pat’s School community for an awesome Mission Day! We raised a total of $5262.00 that we will be sending to Fr. O’Donnell for his orphanage, Amigos De Jesus, in Honduras. Again, St. Pat’s families step up and outdo themselves when it comes to helping those less fortunate than we are – I am so proud to be a part of this wonderful school community! 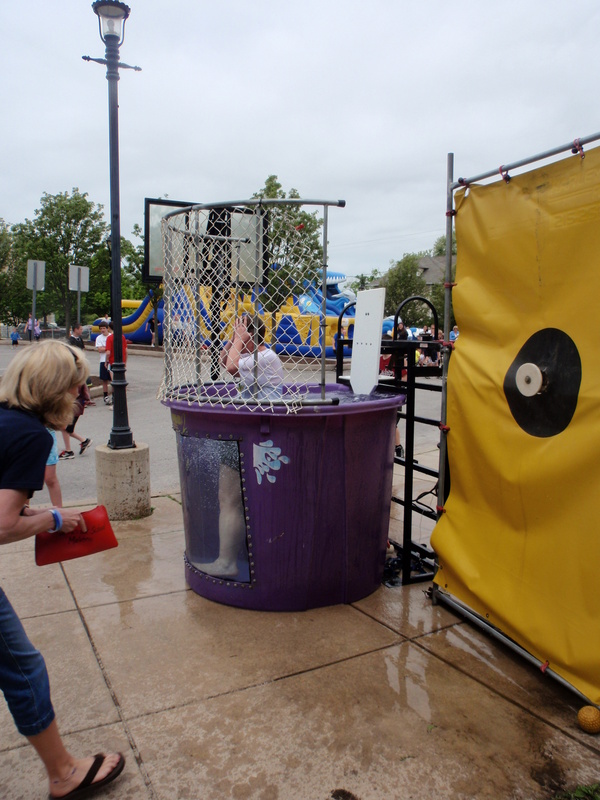 It even makes going in the dunk tank – and being sore for 2 days – so worth it! St. Pat’s ROCKS!!! 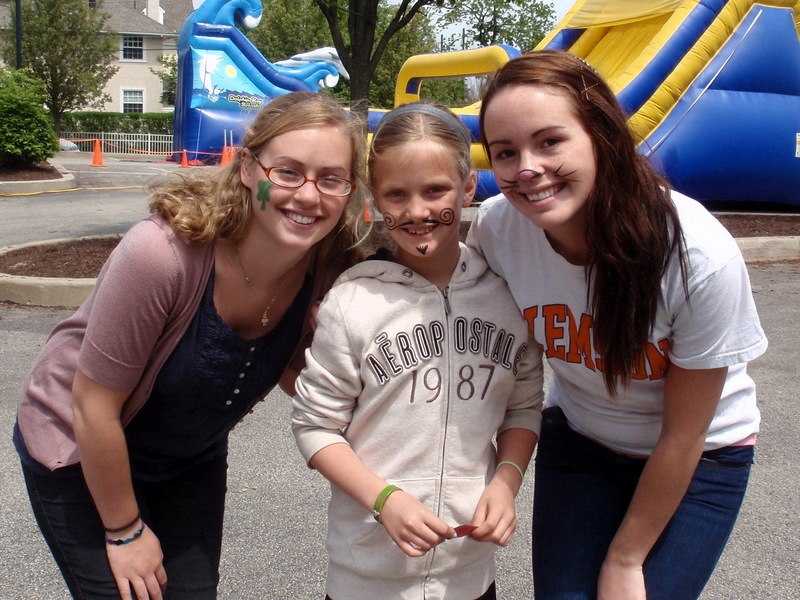 My nieces, Justine, Ellie and Coleen on Mission Day! I am sitting in my office looking out the window at the K-2nd graders at recess. The sun is shining, the kids are running and kicking balls, playing tag and “make believe”, – it is a perfect day here at St. Pat’s in Malvern, PA! We are in the midst of Mission Day preparations, our 8th graders are on retreat, 6th grade is going on their class trip to Annapolis on Thursday, 7th grade presents their Science projects at the Science Fair tomorrow night, students are posting on their class Wiki pages, the tablets are being used all the time – I am exhausted just typing all this – but, it does not get any better than it is here at St. Pat’s – there is no better place to be! Enjoy these great days! 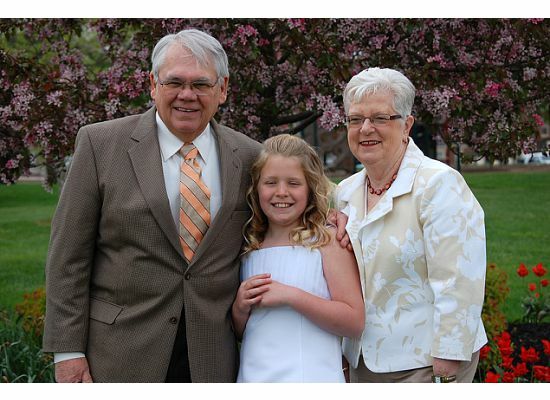 Maggie and her grandparents on her First Communion Day!